Home News Dead In Vinland: Releases Today! Dead In Vinland: Releases Today! For fans all over the world waiting for the release of Dead In Vinland, the wait is finally over. After three years of development, the sequel to Dead In Bermuda will be released today on GOG, Steam and Origin. Head to their website for more information. 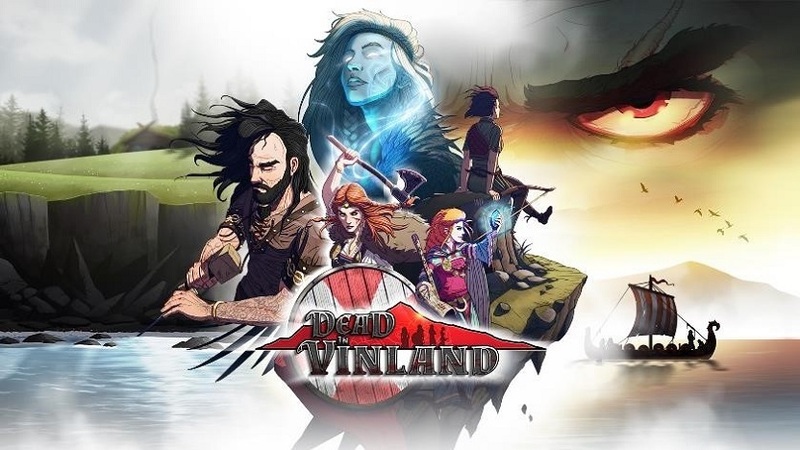 Dead In Vinland is a survival/management game, mixed with RPG and adventure elements, about a Viking family trying their best to survive on a mysterious island. Manage their physical and mental health, explore the island, organize your camp and deal with other human beings. Some might help you, while some will be less docile. The game is being developed by the French indie studio CCCP. Letting you explore a mysterious island and discover its secrets, the game forces you to fight for survival in a hostile environment. With a randomized map with over 150 areas to discover and hundreds of items to interact with, every playthrough promises to be a unique experience. The game also incorporates an RPG system with 20 skills to develop, more than 600 character traits to uncover and over 100 items to collect. A turn-based tactical combat system brings some much-needed action to CCCP’s second installment in the ‘Dead In…‘ universe. With over 150,000 words in content telling a mature yet humorous story, Dead In Vinland promises to be a truly worthy successor.